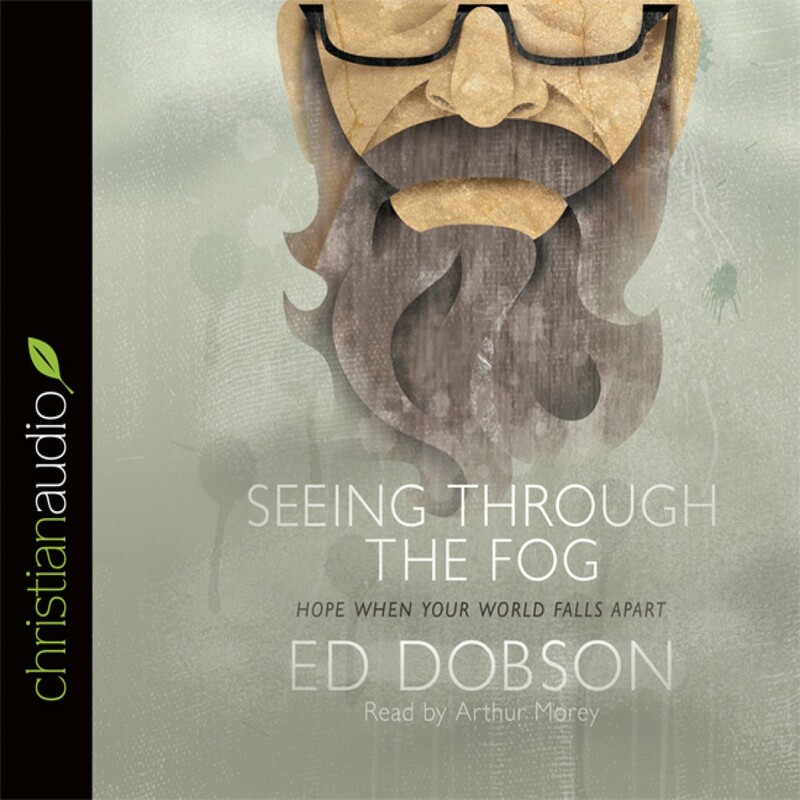 Seeing Through The Fog by Ed Dobson Audiobook Download - Christian audiobooks. Try us free. Ed Dobson made me cry, laugh, and question. Thank you Ed. You get to know Ed's thoughts while living a diagnosed life of ALS. What a wonderful book to teach us Hope, Forgiveness, and Love. This was a very interesting book. It is sort of a memoir of Ed Dobson's after he found out that he had ALS, also known as Lou Gehrig's Disease. ALS is a debilitating disease. As it progresses, more and more muscles lose their ability to work. This eventually leads to more and more important muscle groups ceasing to function, which eventually causes death. ALS is, as far as I know, an incurable disease. In this book, Ed Dobson shares his struggles and thoughts on the disease and on struggling in general. It was a very honest book. It was easy to listen to, and you could sense the author's desire to be as transparent as possible. He shared his ups and downs, the highs and lows. His honesty was refreshing and encouraging. My one complaint is his, for lack of a better way to describe it, his theology of suffering. About midway through the book he attempted to deal with the question of suffering, if there is a good God, why would we suffer? The Bible doesn't avoid this question, but even though Ed Dobson is a Pastor and I have no doubt that he loves God as his greatest treasure, I still think he missed the mark on this one... and it just makes me sad. He captured my sorrow in the chapter dealing with the source of suffering. He shared how he heard about someone giving a testimony on dealing with cancer. The individual talked about how he was thankful for the cancer. Dobson questioned the thankfulness "for", wondering if that was necessary. We are clearly to give thanks in...(I Thess. 5:18) but should we give thanks "for" everything? My first thought was, "hmm. I think there actually is a verse that says to give thanks for everything. But what really got me was when he started talking about whether or not God had anything to do with his disease. And then he said it... "I don't think God had anything to do with it." I can still hear those words ringing in my ears. I actually stopped my mp3 player and paused for a moment. I couldn't believe that he had said it. (and just in case you might think that Job got it wrong, the author quickly adds...) In all this Job did not sin or charge God with wrong. Job didn't accuse God falsely. When he stated, "the Lord has taken away..." he was right! This may not seem like a huge deal to some, but I believe that understanding God's central role in all of my suffering is something that is not only theologically correct, it is something of immense encouragement while in the middle of the trial. I do not doubt Ed Dobson's faith, his view just seemed surprising to me. The book was well written, and I would still suggest reading it. It isn't my normal sort of read, but I found it to stimulate my thoughts on suffering and encouraging to hear how he has dealt with the challenges. The voice talent is one that I am familiar with, and he did a great job at portraying the author. Seeing Through The Fog by Ed Dobson is effectively an honest and moving portrayal of the author’s struggle with the incurable terminal disease ALS. He presents his struggle in quite an expressive manner and there are parts of the book that are very interesting, such as the year of living exactly like Jesus did while on the earth. I have never had any serious illness before and so my experience with this subject is very limited. It was an interesting and emotional insight into the everyday struggles that come with a disease like ALS and trying to keep your faith strong during that process is difficult. I really wanted to like this book and at times I did but it is quite depressing due to the nature of the book. Also I didn’t always agree with what he said and I was almost glad when I did finally finish the book although I am sure it will be blessing to many people especially with major health problems. The narration was of the normal very high standard. It was clear and conveyed the emotion that the author must have been feeling while writing the book. It really enhances the experience of listening to this book. This is a very frank portrayal of a pastor struggling with a debilitating disease and it could be very helpful to people who are in the same position or have loved ones who are in this position. It’s been a while since I've read a book with this much raw emotion. In Seeing Through the Fog, Ed Dobson shares candidly about his diagnoses with amyotrophic lateral sclerosis (also known as ALS, or Lou Gehrig’s disease), and his life afterward. This book is part memoir and part theological discourse; laced with true emotion. It removes all the hints of triteness that are usually present in a Christian discussion of terminal illness because it's a Christian who is actually dying of a terminal illness doing the discussing. There is a strangely hopeful sorrow when Dobson points out that no one has ever been cured of ALS. This book has frequent shining moments. Dobson recounts how he has helped others suffering with the same disease. He gives startling insights about forgiveness, leaving a long-term ministry position, fundamentalism, discipleship, healing, and faith. And all the thoughts and ideas are so much weightier; distilled and concentrated by the author’s own suffering. I found myself hanging on his every word. I felt sorrow when he shared about one companion’s death from ALS. I laughed out loud at his story of two faith healers who come to his house and leave baffled when he isn't immediately healed. Arthur Morey’s narration is good and fits the tone of the book nicely. While this book lacks the pure, unfiltered sorrow of A Grief Observed or the poetic vulnerability of The Return of the Prodigal Son, it nonetheless stands as a vital examination of the Christian response to suffering. It is a shining testament to the power of faith in Jesus Christ. When the fog rolls in, the horizon disappears. The sight line is gone, and sometimes even the sidewalk next to your moving vehicle disappears. It’s at times like these that Dobson feels like he has no control in his life. One of those times was his diagnosis with ALS. This book gives hope for when your world falls apart. It doesn’t ignore or avoid your circumstances. Rather, this hope is in the midst of your circumstances. Hope is rock solid. Real. Unmovable. Eternal. It’s this hope – the hope in our Creator – that keeps one moving while in the fog. It’s this hope, or reliance, on G-d, that is the true battle in life. Regardless of cancer, ALS, divorce, death, or any other struggle in this life, it’s this hope that is all we can count on. It’s part of our humanity to struggle. And that’s where this book come in. This book helps us find the hope in the midst of our struggle. Morey’s voice carries a certain regality to the text. Deep and inflective, his medium-paced narration projects and older feel, with an accent just slightly marking Dobson’s heritage. Overall, Morey’s narration gives an authentic feel to the audio. In the case of this audio, however, it isn’t a theatre performance. It isn’t a lecture all. If anything at all, this audio truly reflects the narration that an audiobook can present and still feel like an audiobook. With that being the case, the audio works out just fine for this encounter of struggle and revelation of hope. This review was commissioned by christian audio. Read reviews like this one at scriptedgenius.com today! This is a superb audiobook by Ed Dobson. This is a very honest and open account of his journey with ALS, the terminal condition his was diagnosed with 11 years earlier. This subject matter did have the potential to be very depressing, but it's actually very positive and liberating. The author has done a wonderful job of describing his thoughts and feelings with such honesty, that it made me feel full of hope that its alright not to have all the answers, when I've also been struggling with illness. It is not full of Christian cliches at all, but small pointers that have helped the author himself on this journey. The narrator Arthur Morey was perfect for this audio. He became the author to me with all the emotions in the right places. I would recommend this audio to every Christian whether you are struggling with illness or not, but are looking for a audio with depth and hope. This will do it for you without making you feel guilty or doubting your faith or God's love for you. Thanks to christianaudio.com Reviewer's Program for this copy.